This top is on sale in red! 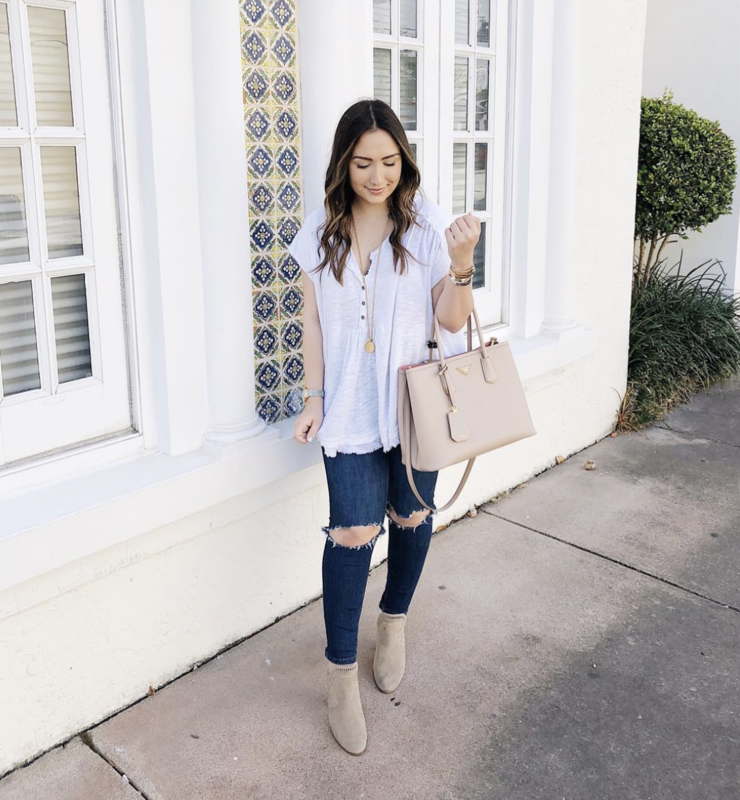 This great basic tee is on sale and I have it in 3 colors! I love it. 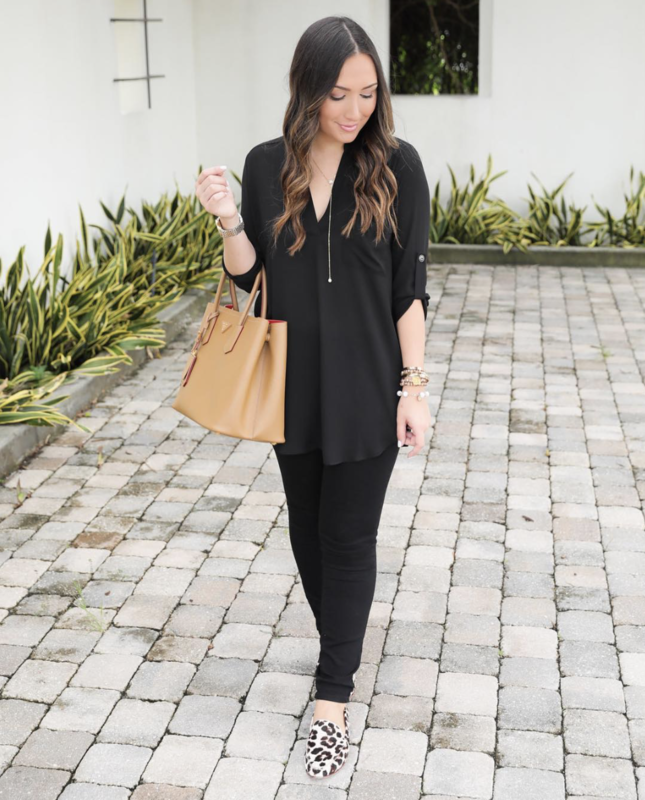 This tunic is awesome over leggings, tucked into pants for work or tucked out! I have it in black and white. 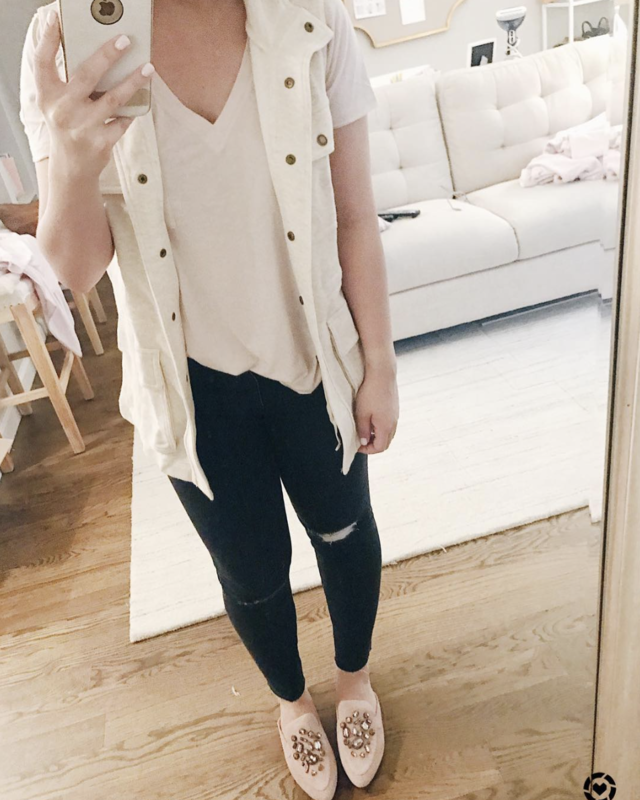 I love these jeans so much! They don’t go on sale often so now would be a great time to pick up a pair! They run true to size. These shoes are so cute and comfortable. Perfect with cutoff shorts for summer!